At the Ala-Too International University students do not forget to develop themselves in sport. There are sections of different kind of sport from classical football and basketball to Kyrgyz national sport like “ordo” and “toguz krgool”. In addition, the health of athletes is also important; preliminary medical survey is being held annually. Athletes are provided with the conditions for achieving the best results: qualified trainers, sports hall, shower cabins, sports equipment, football, basketball and tennis courts. 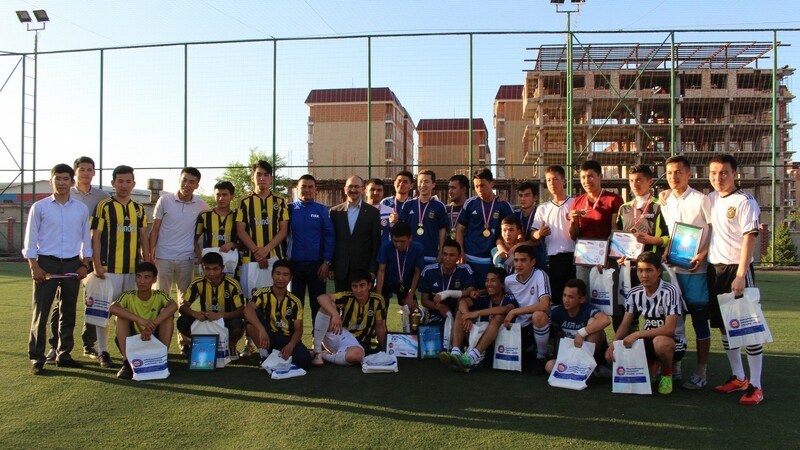 The final game of football tournament was held on 12 May 2017. 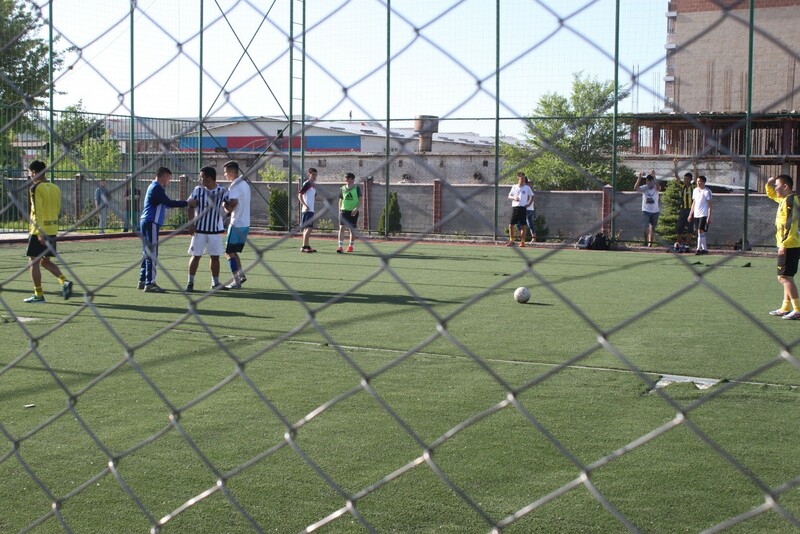 Almost all faculties took part at the tournament. Players managed to show an interesting and exciting game, which was appreciated by fans. 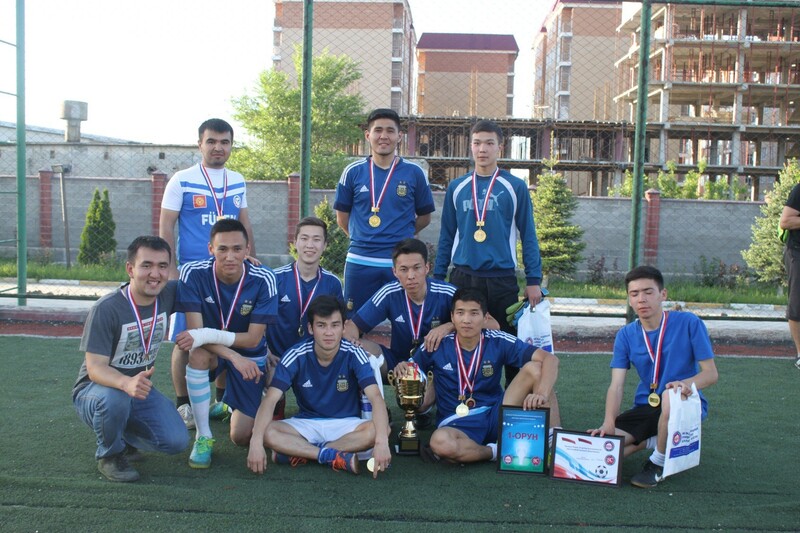 But the most exciting game showed the team of International Relations Department “IR TEAM”, who became four-time champions. The AIU Administration congratulates “IR-TEAM” with their victory, and wishes them good health and achieving new heights. 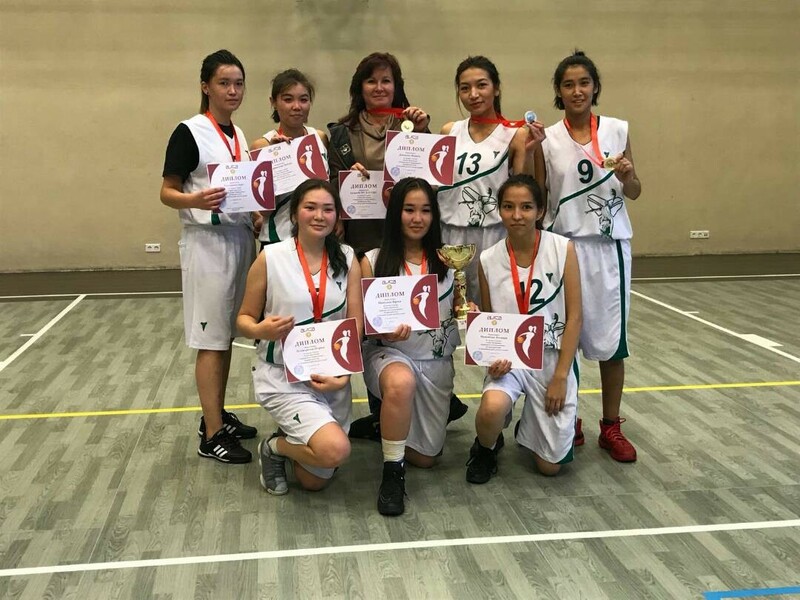 "AUCA President Cup” on basketball"
November 9-11, AIU students participated in a basketball tournament “AUCA President Cup” among women’s student team. As a result, our students took the honorable first place for which we want to congratulate them and wish further high achievements!